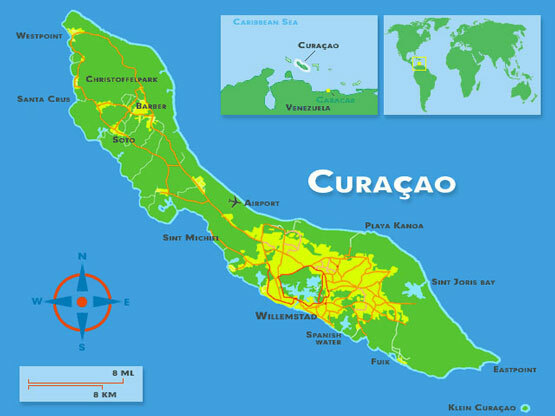 Warm greetings from the island of Curacao Netherlands Antilles. With a heavy heart, we have decided not to return to Indonesia for now because we want Sara to get her education in the Dutch language. 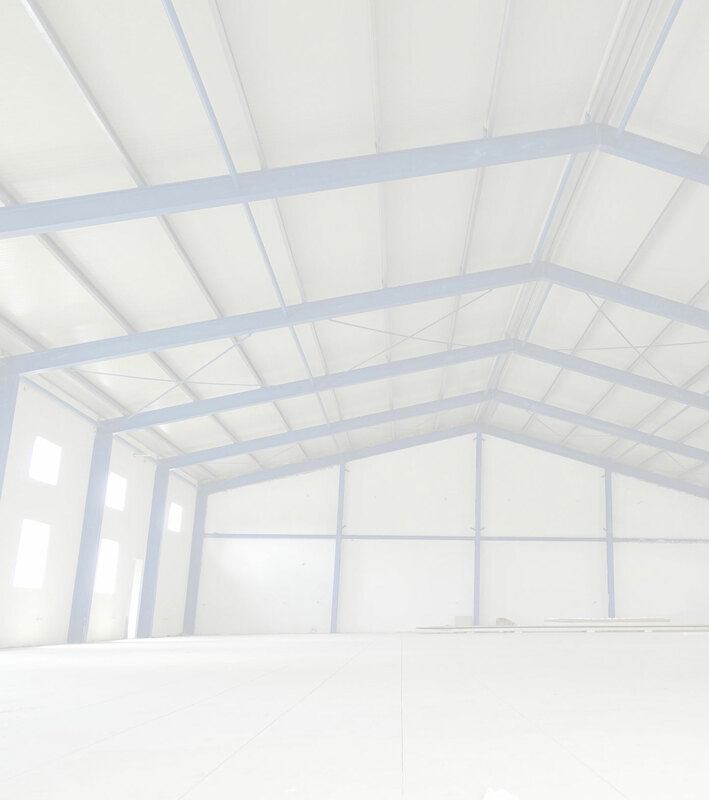 We have been warmly received by Pastor Kenneth Thijm on Curacao and he asked us to work for them as fulltime volunteers to help building their new church building. His previous foreman has left and all the work came on his shoulders and I am happy to alleviate his tasks as the new foreman. We now live on the compound where the new church building is being built in the neighborhood called Monte Carmelo. 52 years ago when I first arrived on Curaçao with my parents we also lived in this same neighborhood. Near here is still the building that my dad had rebuilt into a church in 1967. I still remember that as a child I played with plastic tubes during the construction when I was 5 years old. 5 years later Pastor Kenneth Thijm took over the congregation and the church building (and we moved to a different area called Mount Pleasant where my father expanded his missionary work). It is a great feeling to be able to help with the construction of the new church building in the same neighborhood. Both churches belong to Iglesia Bida Nobo. The older building has been renovated several years ago and it now has church services in the Papiamento language and the new building will have meetings primarily in the Dutch language. The Dutch congregation for years meets in a rented movie theater and now they would like to have their own building. All are happy that I will help along. 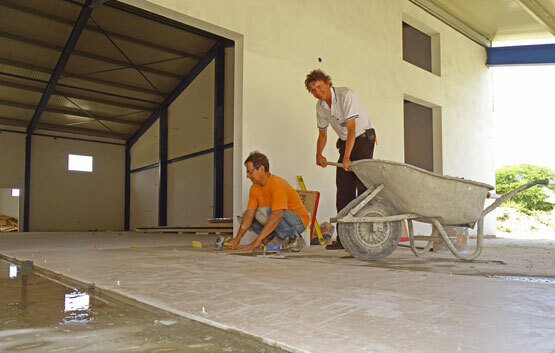 I am unloading cement for the floor tiles in the new Church. 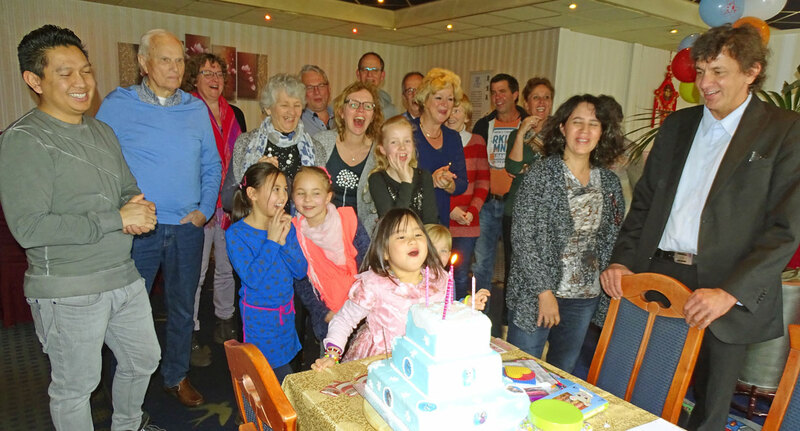 In the picture: Sara has celebrated her 5th birthday in March in Holland with family and friends. 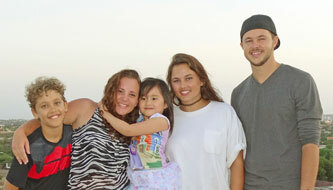 Praise the Lord, the latest news is; de adoption courtcase in Holland has finished well last week. Now we need to wait 3 months and after that Sara will be registered in Holland and after that she will get her Holland passport. Then Sara will also get her last name; Huisman. We have a big financial burden now because we need to pay the bill of the lawyer in Holland this week. Total adoption costs in Holland are 3000 Euro. We also have extra costs to improve the place where we are living now and I need to buy some tools. We can still use a borrowed car for now but soon we will need another. If you can help, it will be a great blessing. We pray that God will provide. John 3:16 For God so loved the world, that he gave his only begotten Son, that whosoever believeth in him should not perish, but have everlasting life. 17 For God sent not his Son into the world to condemn the world; but that the world through him might be saved. 18 He that believeth on him is not condemned: but he that believeth not is condemned already, because he hath not believed in the name of the only begotten Son of God. Thank you for your love and support and prayers.